Sweden, the country that has made work-life balance a priority and is leading the charge towards six hour work days, will study Australia’s labour market. 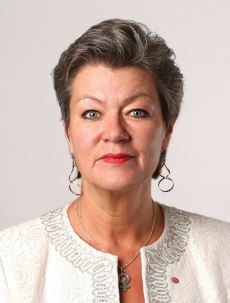 The Swedish embassy in Canberra has announced that Sweden’s Minister for Employment, Ylva Johansson, will be in Australia this week to “study the structure and functioning of the Australian labour market, with a focus on employment services”. Johansson will be in Australia until Thursday 14 January and will take part in a roundtable discussion with representatives from the Department of Employment, the Department of Human Services, the Department of Social Services and the Department of Education and Training to obtain a picture of how the Australian labour market operates. She will also visit a private disability employment service provider and the Braddon Centrelink office. After Canberra, Johansson will travel to Sydney where she will hold a meeting with Swedish company representatives in Australia, including Joe Farrugia from Atlas Copco Australia, David Hood from IKEA, Craig Salkeld from Tetra Pak Oceania, Dean Rosenfield from Saab Australia and Hans Andersson from H&M. “During her visit to Sydney, Ms Johansson will also meet with Anthony Steel, CEO of the private employment services operator Mission Providence, and with political representatives of the Government and the opposition,” the embassy said. In November last year Sweden made global headlines after it was revealed that several leading companies were introducing 30 hour work weeks. While the changes are not yet enshrined in law, according to the Swedish government, the average Swede works 1,609 hours per year, 161 hours less than the OECD average, yet Sweden still ranks ninth in the Global Competitiveness Index. Just five years ago however, Sweden was ranked second in the index. Australians work 1,664 hours per year on average, 106 hours less than the OECD average. Australia is ranked 21st in the Global Competitiveness Index.